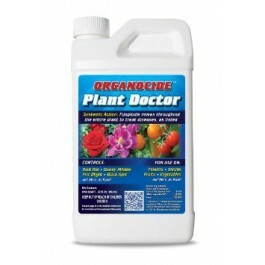 ORGANOCIDETM Plant Doctor Systemic Fungicide (Formerly Exel LG) is an earth-friendly broad spectrum disease control and preventative for use on turf, fruit trees, vegetables, ornamentals and flowers. 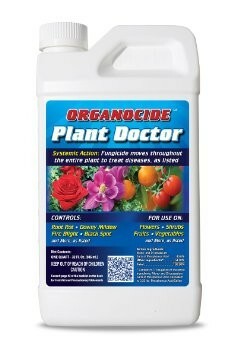 Plant Doctor prevents and controls a myriad of plant diseases, including those that cause root rot, leaf and stem blights, leaf spots and many others! A systemic product, it has a foliar or root application that will work its way throughout the entire plant to prevent disease and attack existing disease above and below ground. Once inside the plant, Plant Doctor increases plant metabolism so plants grow faster, bloom more and have an increased yield while providing a nutritional boost of potassium and phosphorous, essential nutrients for plant growth.